Continuous Fiber Glass Reinforced Thermal Plastic or CFRTP is a newly developed strong polypropylene and fiber-glass composite, the tensile strength of which can reach 850 MPa*. CFRTP skin can be heat laminated with a PP Honeycomb core to produce a lightweight but strong sandwich structure. 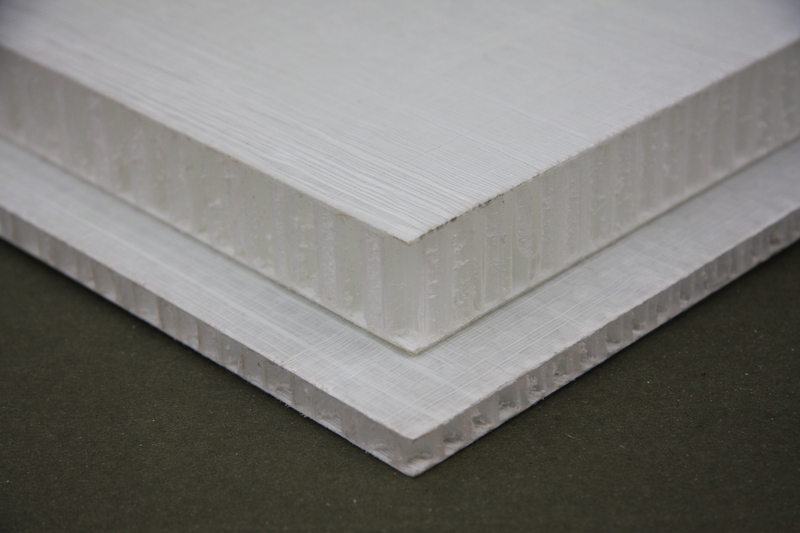 CFRTP skin is about 1mm thick and the panel thickness ranges from 6 to 60mm. 1. Light weight and high compressive strength. 3. Excellent compression and shock resistance. 4. Environmentally safe; No styrene and VOCs. 6. Easy to process, such as cut and repair. 7. Sound absorption, denoising, and sound-insulation. All kind of vehicles like bus, trailer, yacht, truck Refrigerator, sea Container, and building Decoration.